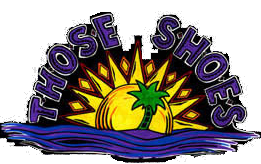 How do I contact thoseshoes? You can contact us at 1-304-269-9782 during business hours, or by email anytime. What do I do when my shoes need resoling? Where is your store in Weston, WV? We have no store in Weston, in fact if you are looking at this page you are in our store. We do invite visists to our studio by appointment only. Or see us at any of our craft shows around the country, click here for our show schedual. It depends on how often and under what conditions you wear them. If properly taken care of, which means conditioning regularly, your shoes could last a lifetime. In your package you would have received a sample of the product that we recomend for care, with instructions. If the shoes get muddy or snow slushed, wash them in the sink with warm water and a gentle sponge and dry them slowly in a gentle heat, apply the conditioner and y're good to go. Can I choose leathers for my order besides what you have in stock? Yes, we are prepared to purchase any leathers that are currently available and your shoes will be priced accordingly. Please feel free to contact us if you have any questions that are not answered on this page.